Cobra is the new generation of oil colours of Royal Talens. A fantastic line of water-mixable colours for which you no longer need any hazardous solvents. Not only is this therefore better for your health, but you also have the freedom to paint wherever you want. And all this without having to surrender any quality. Starter Set of 5 ??? 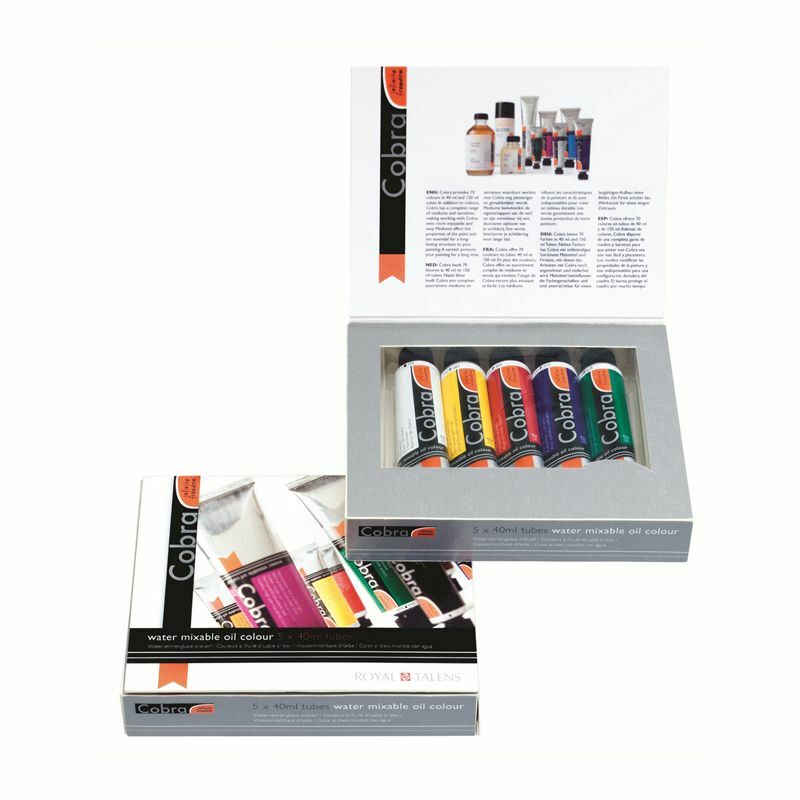 This set contains 40 ml tubes in 5 colours, including Titanium White, Permanent Yellow Light, Pyrrole Red Deep, Cobalt Blue Ultramarine, and Permanent Green Deep.